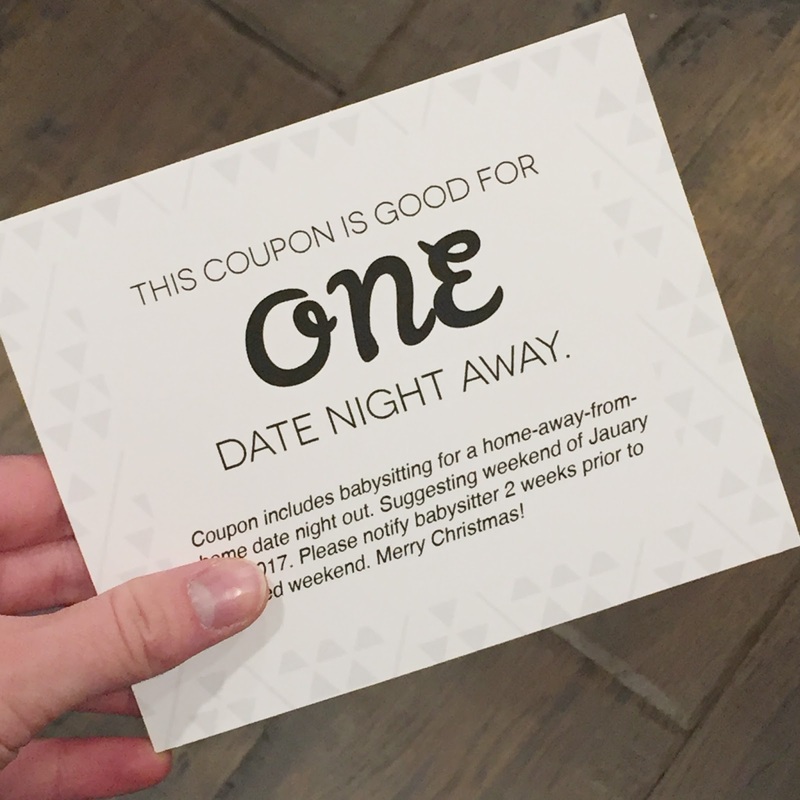 Christmas Coupon Gift – FREE printable! Do you feel like you have some rad babysitting skills, but not any money for a real Christmas present?? OR are the people you’re giving to have everything, but what they really want money can’t buy?? Then I have the solution for you! Christmas coupons! Just like those love/Valentine’s coupons, only it’s for Christmas. And the person who you’re giving to is more likely to cash-in and use said coupon you are presenting to. In my family there are four siblings. We rotate who we’re going to give to each year to simplify the giving process. Instead of buying four gifts, we do one big gift because four is on the verge of being a lot to take on financially and thoughtfully. This year my brother and his wife both wanted the same thing – alone time together! (What was funny was I asked them separately, so they didn’t know that the other had said the exact same thing!) So how do you “buy” alone time?? It’s not really something you can wrap up and give. 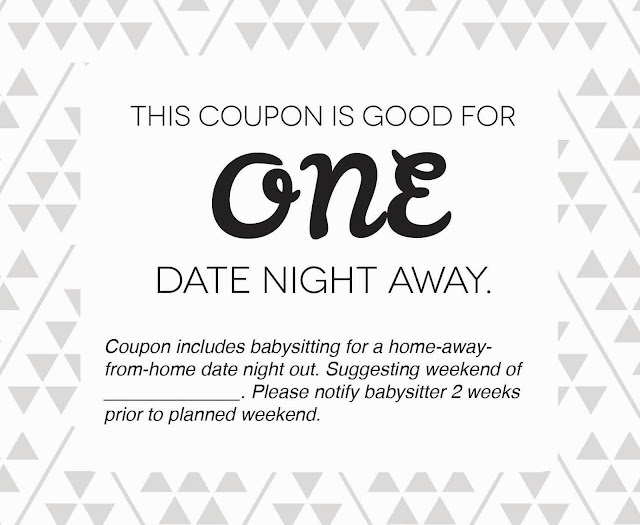 Which was how I came up with the coupon idea. I am offering to watch their kids so they can get out and have a home-away-from-home date. It’s free. It’s what they want. It’s a win-win. I added a “suggestion weekend” because my brother already has an idea of when he wants to do it, so I was making it a planned suggestion for his wife. OR if you have a weekend that works best for your schedule you can write it in. I hate getting plans dumped on me last minute which was why I added the 2 week notification. Let’s keep some class, people! –>Side note, I read this article about how some people aren’t really RSVPing to parties any more and how rude is that?? I know we’re all busy, but please, for the sake of the planner’s sanity reply back! Anyways, enjoy your free coupon/Christmas gift idea!